We offer a professional Tree Report & Tree Surveying service to both Domestic and Commercial customers, including Parish Councils, Schools, Land Management companies and private land owners. Our tree surveyors hold a Level 4 Certificate in Arboriculture and have completed a number of Tree Inspection training courses delivered by the Arb Association, as well as having a wealth of knowledge and experience to back this up with. Trees can be protected by law in the form of a TPO or they could be protected if the fall within a Conservation Area. In both cases in order to obtain permission for any work to protected trees then an application must be submitted to the local planning authority. Notification must be given for any tree works in a Conservation and the local planning authority has six weeks to object. If no objection is received you are free to go ahead with the work. If a tree is protected by a TPO a formal application must be sent in to the local planning authority with robust justification of any work requested. Permission is normally received within eight weeks of the application being sent. At S.P. Landscapes we complete all tree applications free of charge for both TPO trees or trees in a Conservation Area. Trees situated close to a property or on publicly accessible land present a potential risk to public and personal safety. Tree owners, without exception, have a legal duty of care to take reasonable steps to ensure the safe condition of their trees. Trees will need to be assessed regularly with some trees assessed more frequently than others depending on their location. 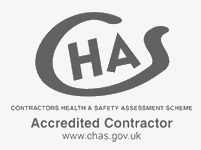 The recommendation and advice given can help to manage their surroundings and will provide a list of recommended works, if required, with a priority or risk rating. In order to carry out a development project, whether it is for a small extension or a large site, you may be asked by your local authority to have a BS5837 survey carried out. This a survey that plots all the trees accurately onto the site map, determining more importantly where the roots are, which is known as a constraints plan. The planners will use this information to help design and facilitate the proposed development so that there is minimum disturbance to nearby trees. This survey is usually carried out before or during the design stage. Your local authority may ask for some additional information to go with your initial BS5837 survey, in the form of an Arboricultural Impact Assessment (AIA). This information is used to see how much of an impact your proposed development will have on the trees. This assessment will broadly cover the trees that require removal, to incorporate development, and the management of the remaining trees near development, with below and above ground constraints including shading. A Method Statement Report may be required to accompany planning proposals. This report details what tree protection measures are needed for all stages of your development, describing the methodology behind the protection of a development site’s trees during construction. A Tree Protection Plan (TPP) will accompany this and build upon the plan outlined in the AIA. On occasion arboricultural supervision may be required when construction works are within the Root Protection Area (RPA).